Las Vegas, NV – Dennis “The Worm” Rodman, fresh back from his visit to North Korea, says to the press that “Kim Jong-un just wants Obama to call.” Although this saga is far from over, it teaches us a simple lesson: Sometimes all you need to do to make peace is reach out and touch someone. 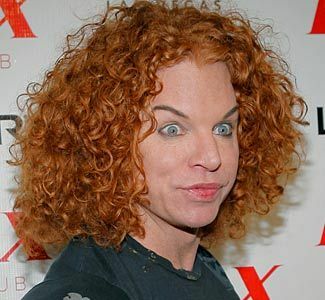 Not one to be outdone, famous prop-comedian Carrot Top is making efforts to bridge the gap between these United States and the war-torn country of Afghanistan. Top will be having his passport stamped en route to a visit with top Al-Qaeda brass this week in what he’s calling a “follow-up to what the Worm did” so eloquently in North Korea. Top states that “laughter is the best medicine” and that “all those terrorists need is a series of visual prop jokes” to ease their hatred for our country. Top, with help from the CIA, is slated to arrive at a secret Al-Qaeda hideout as early as this Wednesday. He will ride in on a camel and be armed to the teeth with his trunk full of props in an effort to win over the terrorist organization. 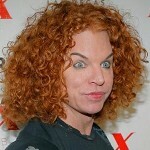 If anyone can do it, Carrot Top can. Godspeed, ye hilarious redhead!